August 22, 2015, 10:00 a.m. 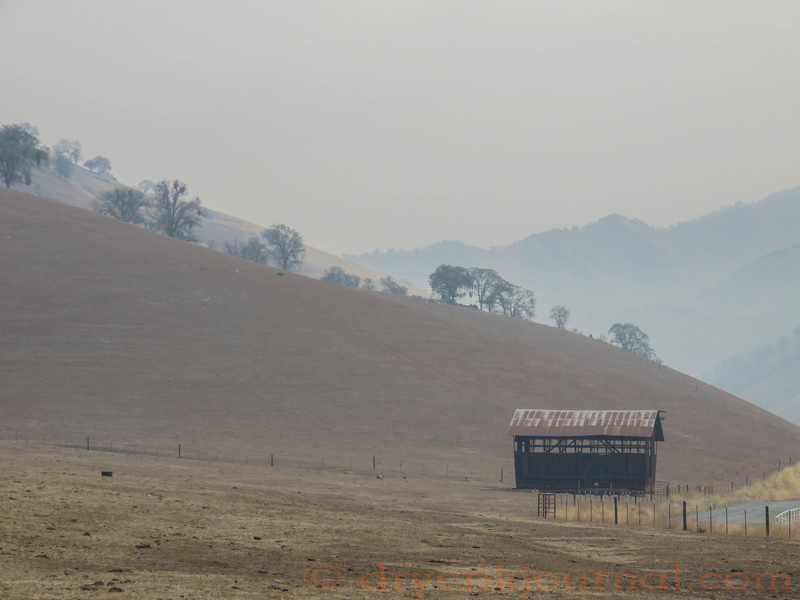 This entry was posted in Photographs, Ranch Journal and tagged Kings Canyon, Rough Fire. Bookmark the permalink. Sounds like central WA is not the only place getting blasted by wildfires! Sorry to hear they’re burning down your way as well. The air here is so bad from the smoke of the massive fires on the eastside of the mountains I feel like I was back LA during the 60s – smog so thick it hurt to breathe . . . And I was young back then . . . May you and your family and livestock be safe and well! Blessings . . . Such sad word and numbers. That’s about what it looks like here today, too. Our state is burning up. Amazing the lack of info we get except in our own local areas. 100 fires burning in the west. I just found out every inch of a dear friend’s 20 acres was burned in the 9 mile fire. Her home damaged and 4 of her neighbors homes lost. No insurance. Some of the most beautiful land in America on fire. Often not thought of, the wildlife killed. A great loss to us all.